I’ve written before about how travel has inspired many of my story ideas. Now that Mountain of Daggers is just about to arrive, I want to share how much Venice Italy has influenced it. In fact, if wasn’t for Venice there would be no Black Raven series. I’d originally written a single story, Birth of the Black Raven, and intended it to be a stand-alone. Then in February 2006, my wife and I honeymooned in Italy, spending the majority of our time in Florence and Venice. When I returned, I immediately started writing new adventures, starting with Race for the Night Ruby. 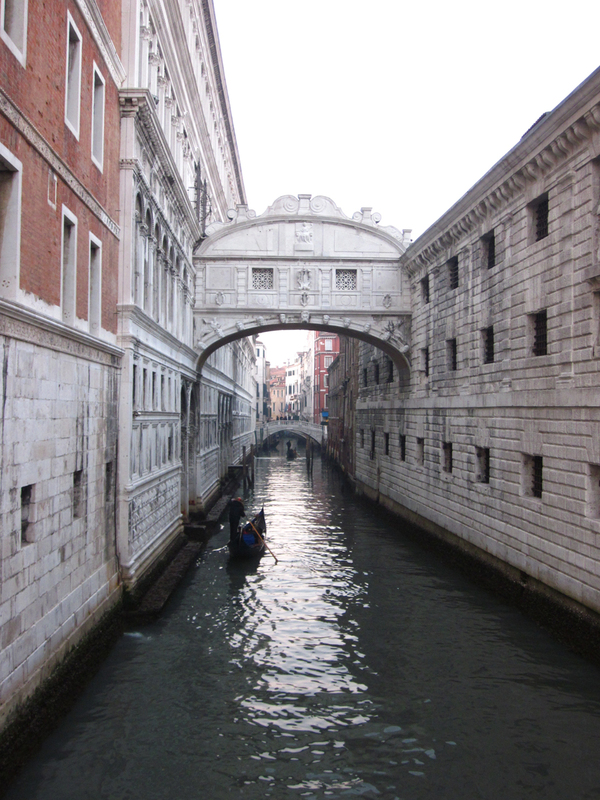 Canals: You simply can’t talk about Venice without addressing its most notable attribute. If a movie is set in Venice, you can be pretty much guaranteed a boat chase (and a moment when a speedboat cuts a gondola in half). The canals have served as the city’s primary means of transportation for a thousand years. And while they’re no longer the open sewers as they were once, you wouldn’t want to take a dip in one. But they’re as beautiful and as haunting as can be imagined. The city of Nadjancia has a canal system like Venice and is the setting for both Race for the Night Ruby and the Ferrymaster’s Toll. 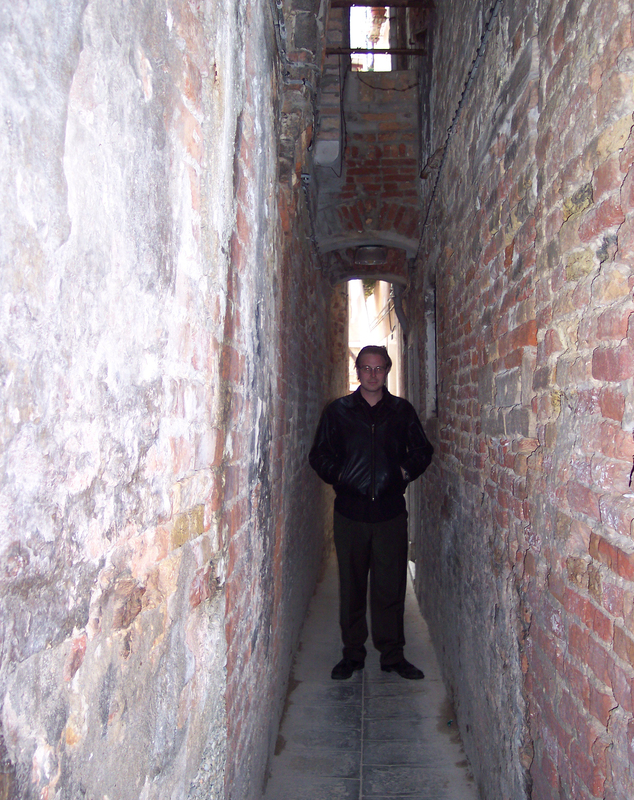 Streets: While the canals are Venice’s best known feature, the streets themselves are a bizarre maze-work of narrow lanes. There are no straight lines in Venice, and trying to walk from one place to another will quickly get you lost, even if you have a map. Many of these streets, even main ones, are so narrow that I could easily touch both sides at the same time. You can see this in Race of the Night Ruby. Masks: Venice is known for its beautiful masks. They give a sense of mystery. The veils worn in Race for the Night Ruby and The Ferrymaster’s Toll were my own spin on Venetian masks. 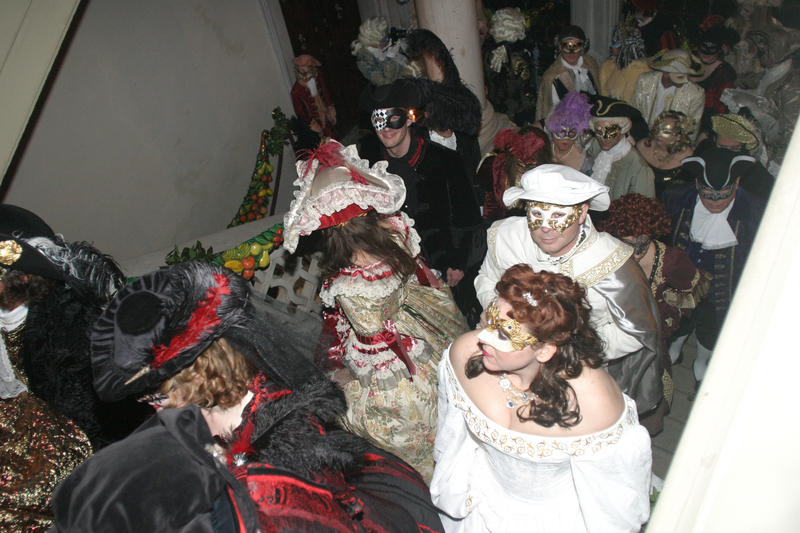 In 2012 we returned to Venice for Carnival and attended some of the masquerade balls. Shortly after, I wrote Temptation’s Proposal, which centers around a masked ball. 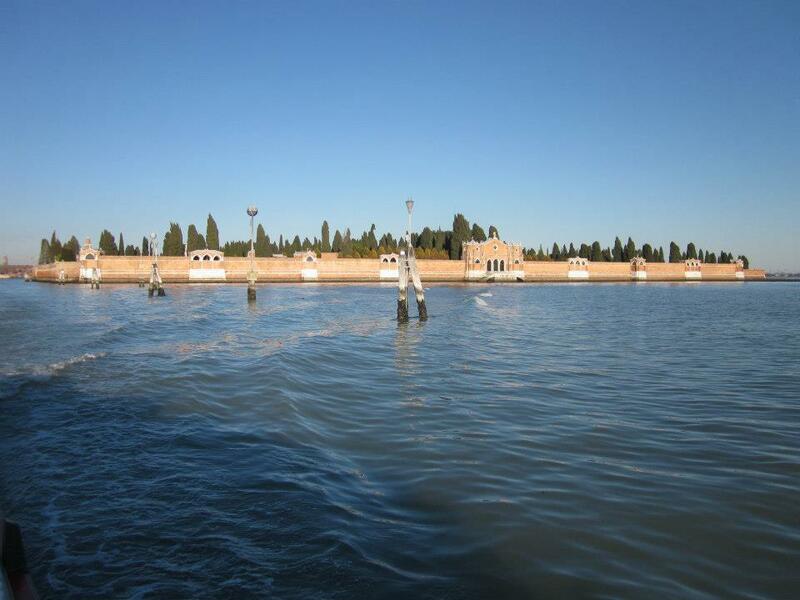 Isola di San Michele: This walled island serves as the city’s cemetery. The idea of an “Island of the Dead” caused me to write The Ferrymaster’s Toll. 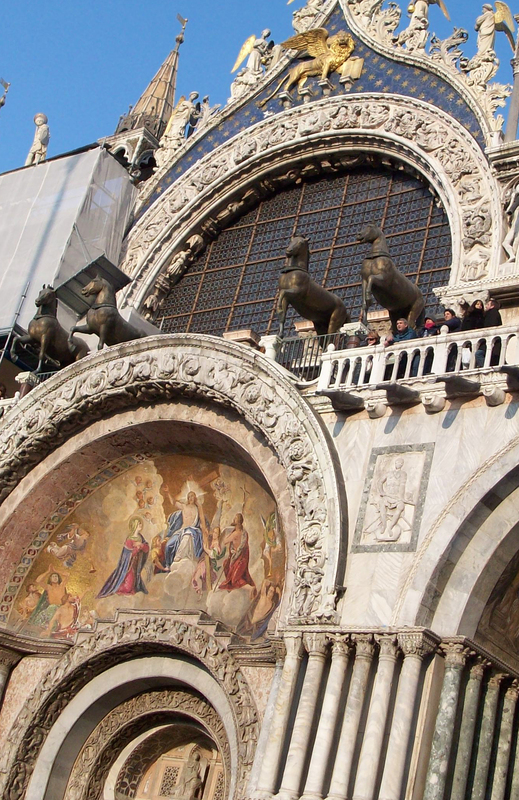 Horses of Saint Mark: These four bronze horses decorate the front of Saint Mark’s Basilica. They have a facinating history of being looted from Constantinople, then by Napoleopon, and then returned to Venice. The part that stuck with me most was that they once had ruby eyes (stolen by Napoleon). The idea of a statue overlooking a street with ruby eyes appeared in City Beneath the Kaisers and The Noble Hunter. Of course the single most influential place was the Doge’s Palace, which I dedicated an entire post to. Venice is one of the most beautiful places that I’ve had the pleasure to visit, and I’m excited to share what stories that that single city has inspired. I hope you all enjoy them and I hope maybe they’ll inspire someone to visit the city that brought them to you. One of the things I loved about Venice is that I never worried–too much–about getting lost because inevitably I would up in a plaza that had a sign showing me the way back to St. Mark’s Square. Hope I can visit again before it all sinks. That’s “wound up” not “would up”!